Baths v showers: Which side are you on? It’s the 21st century and we're busier than ever, juggling multiple commitments such as work and family that barely a second moment can be spared. I’m sure that we all have a long list of things we wished we could do if only we had the time – and that includes taking a bath. Taking a shower, however, is by far the more popular and widely used method for washing, taking up substantially less time versus taking a bath. Showers are therefore much more suited to our daily lives and require sufficiently less water, reducing both the financial and environmental impacts. Are you a bath fan? However, there’s a reason why most bathrooms still have a bath in them and that is because we love the luxury of them when we are actually able to take one. And rightly so! Baths can really help us unwind and slow down time, giving us space to think despite the demands of our hectic lives. 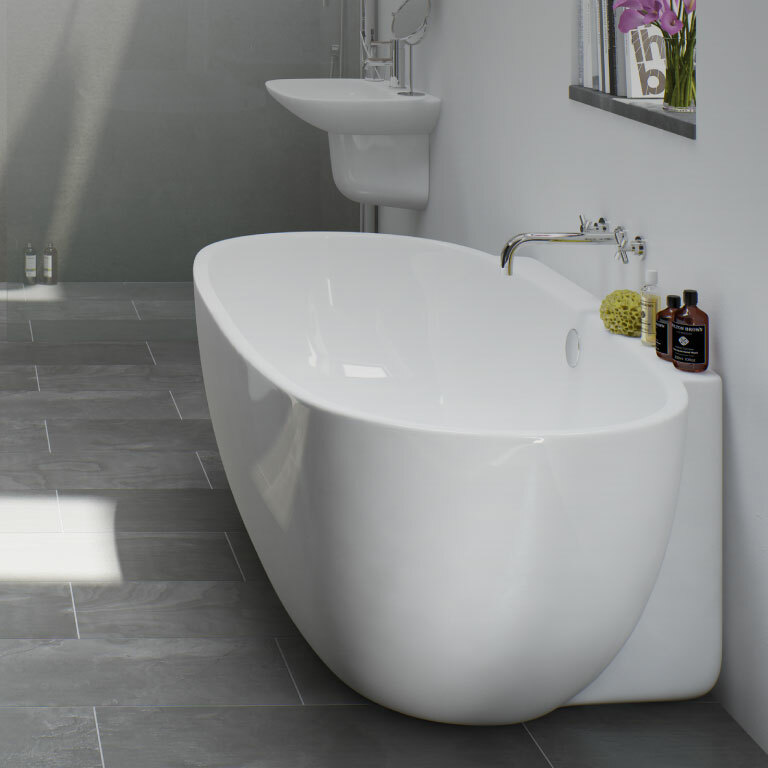 To satisfy this desire, at VictoriaPlum.com we offer a fantastic range of elegant freestanding bathtubs that will help anyone inject much-needed luxury into their home. Furthermore, there are few things that can be improved to ensure your baths are as eco-friendly as possible. 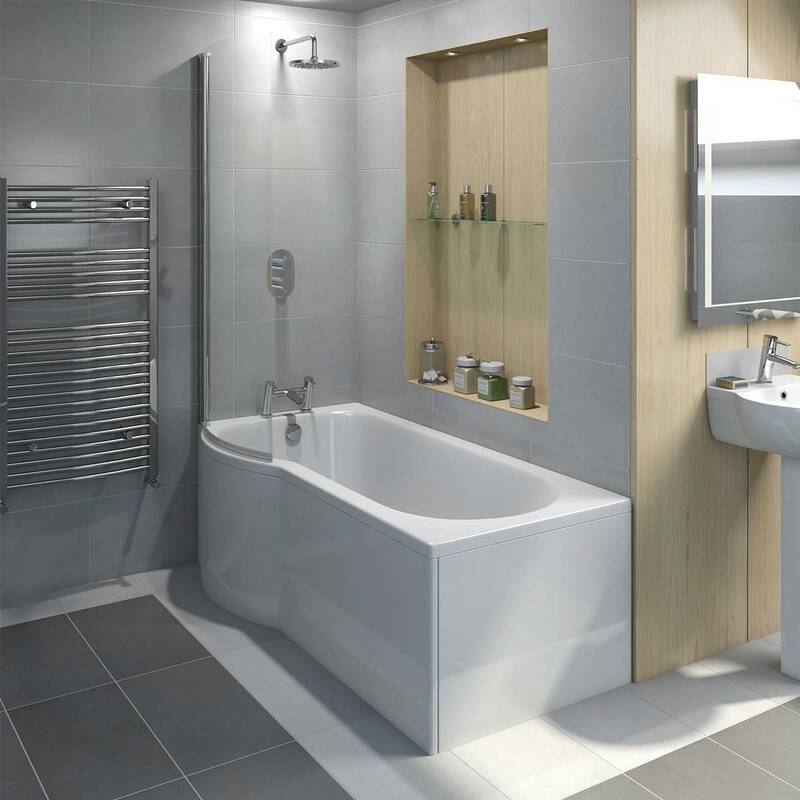 Acrylic baths help improve efficiency at retaining hot water, thus reducing your need to top up the bath with hot water, while thermostatic taps provide the highest level of control over water flow and temperature. 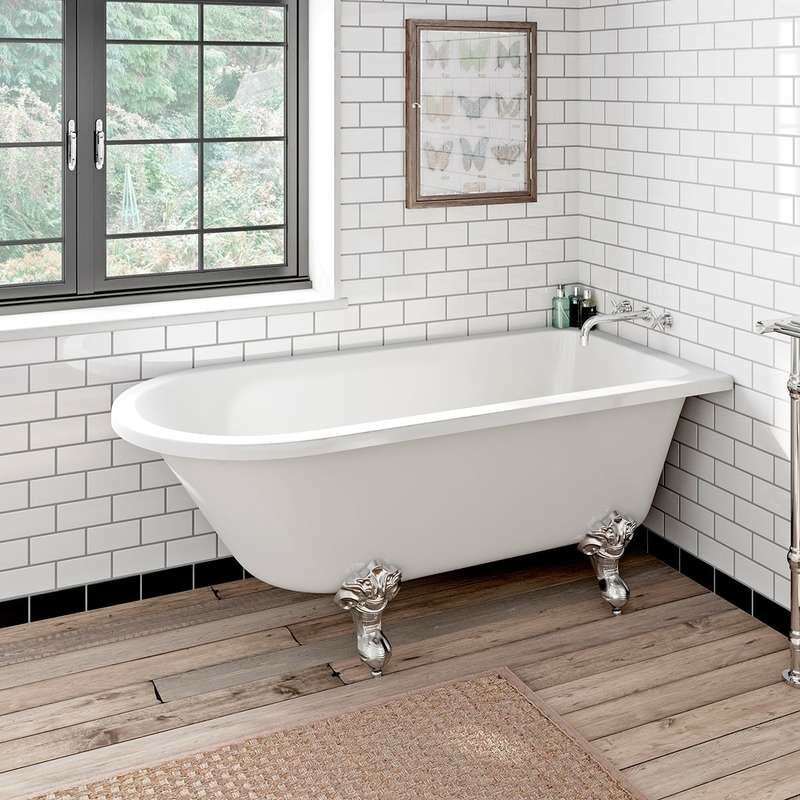 Roll top and freestanding baths have become a popular choice across a wide spectrum of styles ranging from a 30s Hollywood regency bathroom style to oriental style. Whatever your taste, roll top or freestanding baths instantly add a sense of opulence to their surroundings. Freestanding baths come in a selection of varied shapes and sizes, from modern designs such as our curvy Positano freestanding bath (above), to the more traditional style bath tubs like our Shakespeare freestanding single ended bath (below). At VictoriaPlum.com, we are dedicated to helping find the perfect luxury bath for you. It doesn't have to be a case of baths v showers. If you really can't decide, why not combine the two? Our range of modern shower baths come with a shower screen already included, plus extra space at the shower end so you'll have no problem manoeuvring. Options such as the P shaped shower bath provide plenty of space for both showering and bathing. A shower screen means you can now do away with unsightly, mould-festering shower curtains, which require washing and look unsightly when you need a bath. 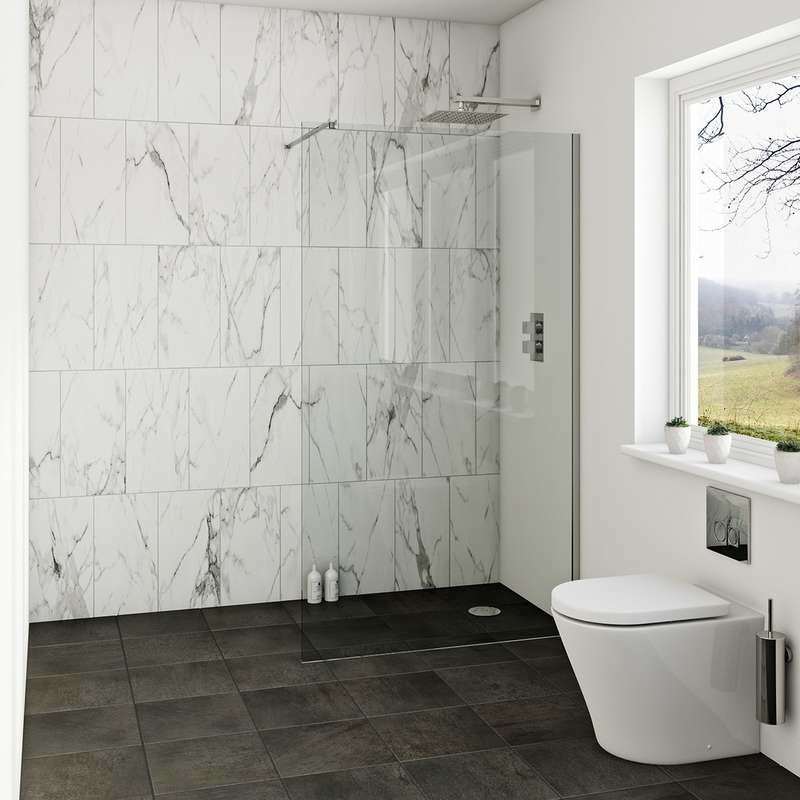 If you really don't feel the need for a bath, why not go all out and turn your bathroom into a wet room, replete with a stunning designer walk in shower? 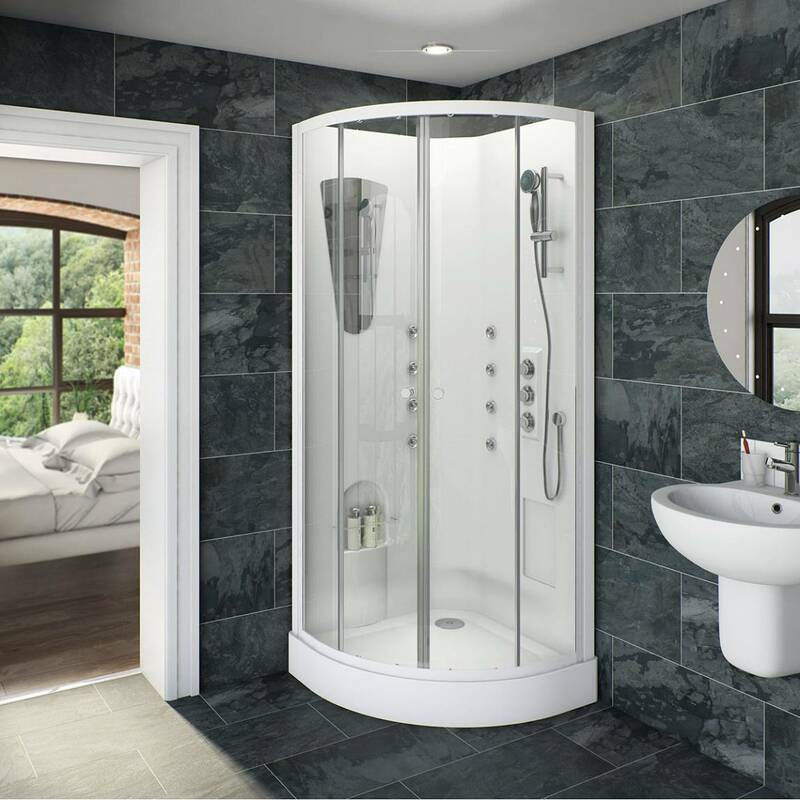 Featuring overhead and handheld showers, you get the luxury and flexibility you're after, plus with no doors or shower tray, it'll literally open up your bathroom space and make access a breeze. If a wet room isn't your thing, why not indulge yourself with a shower cabin? This luxurious enclosure not only comes with both overhead and handheld showers, but 6 body jets to provide some real hydrotherapy. Perfect for an invigorating wake up in the morning, or a soothing cleanse in the evening. Decided which side you're on yet? If you like the quick and easy option, head on over to our showers section to find the right model for you. Prefer a long and luxurious soak? Check out our wide range of high quality baths. We'd like to hear from you. Which side are you on in the baths v showers debate? Maybe you simply need both? Tweet us @VictoriaPlumUK using the hashtag #BathsvShowers.